Solar panel electricity systems, also known as solar photovoltaics (PV), capture the sun's energy using photovoltaic cells. You can use 100% of the power generated through solar to power your home. Even though you get paid for the production of the electricity it's still totally free to use once the system has been paid for. You also get paid for any surplus electricity that goes back to the grid. Now is the best time ever to invest in solar. The cost of installing solar is now at its lowest point, linked in with a generous financial return from the current UK Feed in Tariff, giving our customers an ongoing power supply in times of future shortages and rapidly increasing prices. 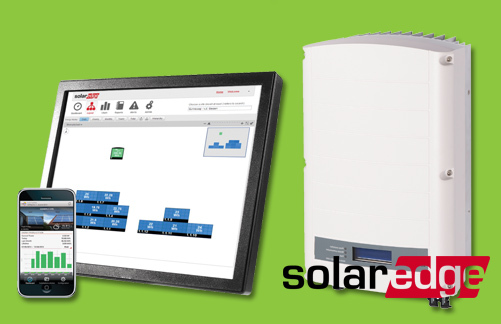 More revenue and more insight into your system performance with SolarEdge inverter and power optimisers. Solar panels convert sun energy to electricity, a solar inverter is required to convert the DC electricity generated by the panels into a grid-compliant AC electricity. Each panel is connected to a single power optimiser. Power optimisers are electronic chips that maximise energy from each panel individually. An inverter converts DC to AC. Monitoring portal visualises performance of each panel. In a PV system each panel has an individual maximum power point. Traditional inverter – weakest panel reduces the performance of all panels. SolarEdge – each panel produces the maximum energy - The weakest panel does not affect the performance of the rest of the system. Maximum efficiency of 97.6% - amongst the highest on the market today. 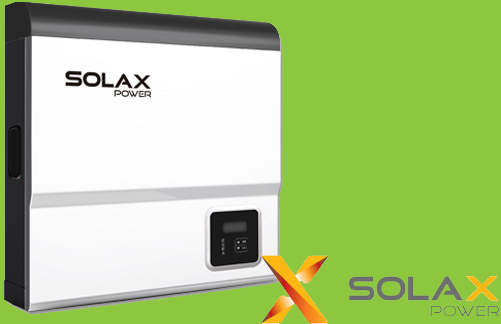 SolaX X-Hybrid inverters have a maximum DC input voltage of 550V. Use up to 85% of the generated solar energy. Standard 10 year warranty on both X-Hybrid inverters. Monitor your PV system anywhere in the world in real-time. The X-Hybrid inverter has low-noise temperature controlled fans for heat management. The ‘E’ version of X-Hybrid has a built-in Emergency Power Supply (EPS) function that enables the user to run off their batteries and PV array in the event of a power cut. In addition, the ‘E’ series can be installed in a completely off-grid setting supplying power to essential appliances when no grid power is available. The E version Hybrid is installed with a changeover switch that gives the end user complete control. When grid power is lost, the inverter goes into EPS mode ready for the customer to swtich over once they have prioritised which essential devices and appliances they wish to power. This manual control is essential as it ensures that non-essential heavy load devices can be switched off ensuring that users get the most of the stored energy at a time when they need it most. "We were very impressed with the installation team, what a friendly but professional bunch of lads." "Could I thank you all for your excellent service. The installation team were friendly, helpful, approachable, efficient and very tidy. The office staff are second to none and my many queries were always answered promptly in an extremely friendly manner. So much so that I almost feel part of the team now!" "I would like to say that your team of fitters are the most friendly, courteous, caring and efficient workmen. Please thank them on my behalf."